SKU: 01- LSBB. Category: Brushes, Hull & Bottom Cleaning. 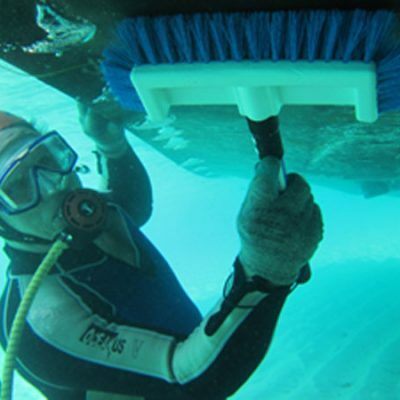 This compact Purpose Built brush is great for in the water hull cleaning. It comes with a short, lightweight fiberglass handle with a non slip grip. 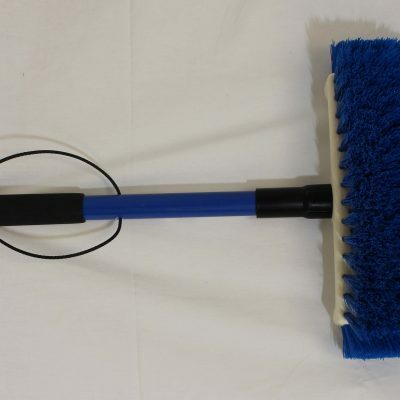 The brush is 12.5″ X 5″ with angled nylon bristles for working flat, curved and complex hull angles. It also has bristles on each side for tight work. 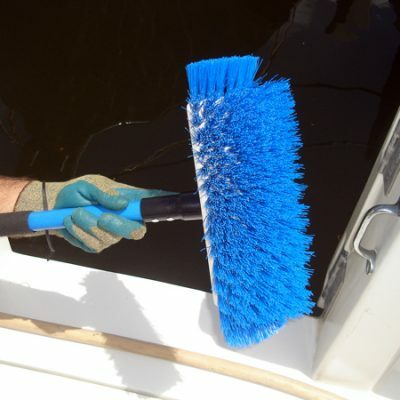 The width of the brush allows maximum hull coverage in a single pass. If you need to remove slime in a hurry, this is the way to do it. The length of the handle allows the diver to wedge it into his/her forearm when working down the hull. The brush measures 18.5″ overall and floats. Easily breaks down for stowage in your step box, locker or fish box. If you need to cover large areas quickly, this is the tool for you. 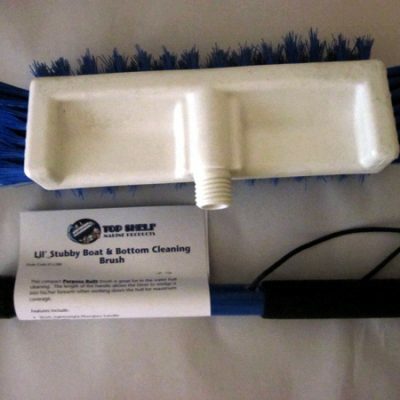 Make this brush part of your onboard equipment. Comes with a preinstalled lanyard to prevent loss. Bristle colors may vary.